AIL Malaga offers students 2 types of quality accommodation in Malaga: stays with welcoming host families or shared flats with other students. Finding your own accommodation can be quite stressful, especially if you don’t know the city well. 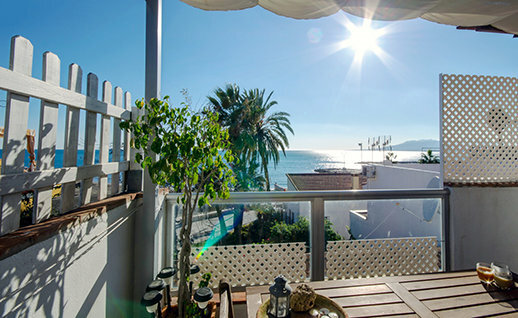 Why not let us use our experience to find you a “home” in Malaga. This way you would only have to worry about studying and having a good time. Regardless of the preferences you might have, we can find the appropriate accommodation to make your stay in Malaga a relaxing, fun and enriching experience. Choosing to stay with a host family is one of the most rewarding parts of a language trip. 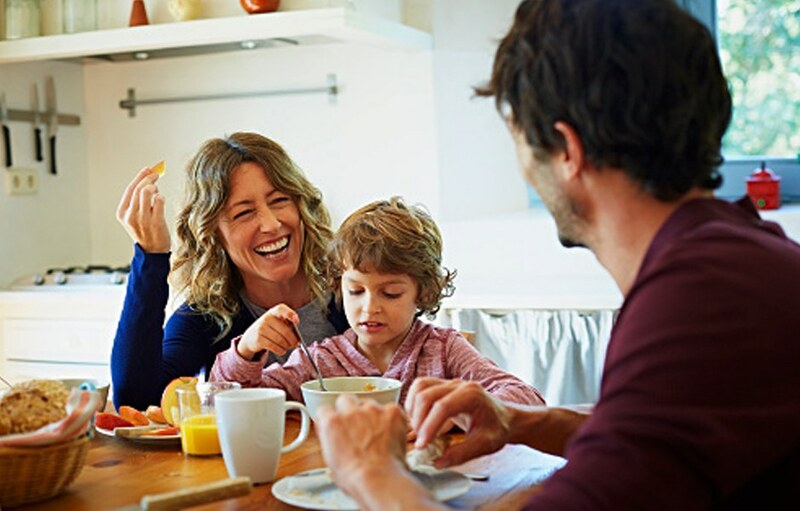 The conversations on the dinner table, sharing the best moments of the day and the feeling of being in a home, make the stay with the host families one of the favourite types of accommodations amongst our Spanish students. Many students of different ages find staying with a host family very advantageous: freedom to come and go as you please, eating traditional and home-made food, the homely atmosphere and the strong bonds created between family members and the students. Find out more about our accommodation with host families. Sharing a flat with other students is an extraordinary opportunity to make a lot of friends, cook and have the freedom to eat and do whatever you want. It is also a good way to practice Spanish with other international students at the school. If you want to stay in a shared flat, you will live with 4 or 5 other students your age. You will also share a living room where you will be able to chat and watch television, a kitchen where you can show off your culinary skills and a bathroom. 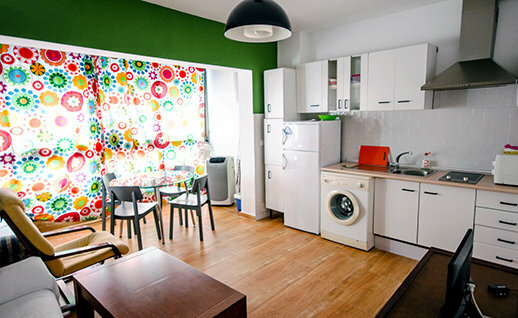 This is a very appealing option as living with other students is a sociable and fun experience. Find out more about staying in shared flats.